At Kingsthorne we make every effort to welcome and include every child. We want the child to be happy, especially about coming to school and recognise that every child is unique and has differences. Some children might have additional needs and these are often referred to as SEN (Special Educational Need). 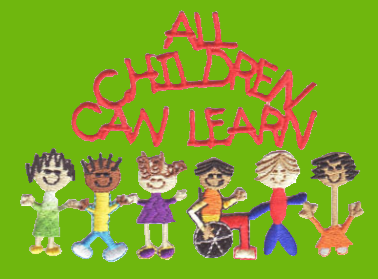 It might refer to the child having a learning difficulty and/or disability which calls for special education provision, a provision that is different from or additional to that usually available to pupils of the same age. Please find below a downloadable document outlining what SEN provision Kingsthorne can offer. Autism West Midlands Charity based organisation offering advice, support and events for children with autism or suspected autism. Forward Thinking Birmingham Service offering mental health support, e.g. stress and anxiety. Pause Drop in service helping children explore their emotions, thoughts and feelings. Scope About Disability Charity supporting parents and children where the child has a disability. Speech and Language Therapy Birmingham Support to children with a range of specific speech, language and communication difficulties. United Support Group Support families who have children and young people with an ASC, ADHD and other similar conditions. Autism West Midlands Provide a range of support services for families including an information helpline, family outreach workers and support groups. Addiss Provide people-friendly information and resources about Attention Deficit Hyperactivity Disorder to anyone who needs assistance - parents, sufferers, teachers or health professionals. Dyslexia Action Our training courses are designed to strengthen the expertise and confidence of teachers, SENCos, teaching assistants, instructors, tutors, learning support staff and lecturers who support students with literacy difficulties, dyslexia and other specific learning difficulties (SpLDs).